October 2011 Filter Magazine & The Lucie Foundation exhibition for Culture Collide Los Angeles, CA. Jan-Feb 2006 The Gallery at Keeble and Schukat, Palo Alto, CA. April-May 2005 Cheap Shots,Lisa Coscino Gallery, Pacific Grove, CA. March 2008 The Desert Sun Newspaper (US) March 31, 2008 Featured article, PSPF, Page 1. 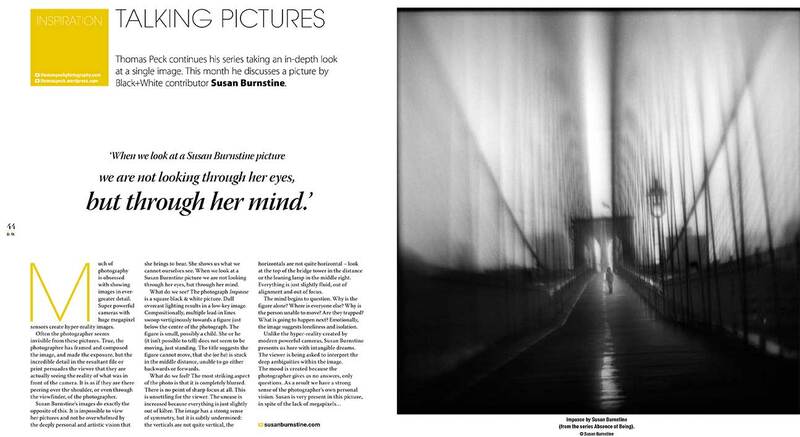 August 2007 File Magazine Featured Project, "Instinct"
Fall 2016 Susan Burnstine: Absence of Being, Damiani Editore. Fall 2015 Soft Touch. Amherst Media. 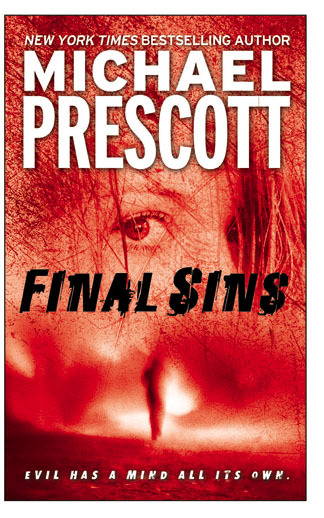 , Featured chapter. 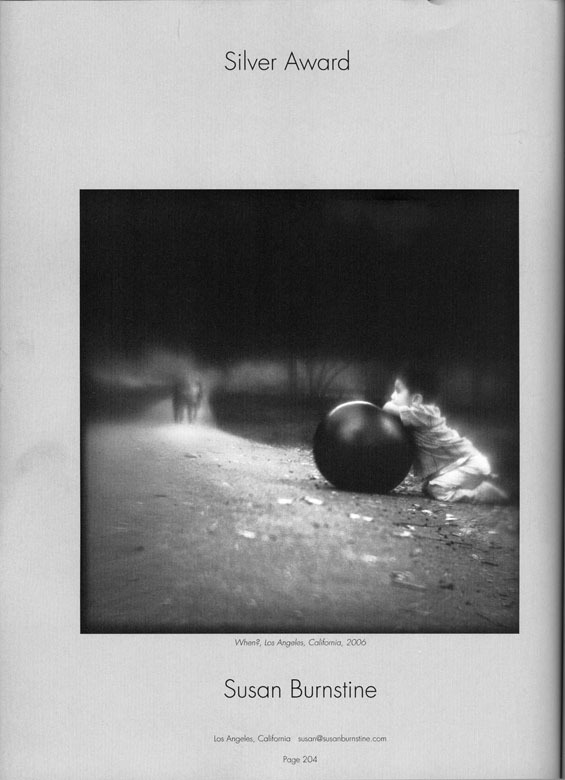 October 2013 Staking Claim: A California Invitational, MOPA Publications, featured. Fall 2011 Within Shadows. Susan Burnstine, Charta Editions. Winter 2010 Why Photographs Work by George Barr, Rocky Nook, featured. Fall 2010 Plastic Cameras: Toying With Creativity. 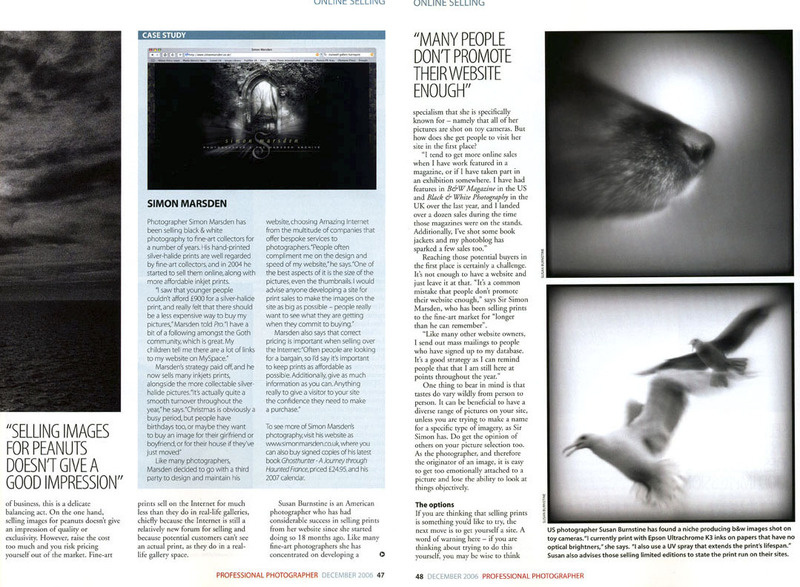 Second Edition, Focal Press, featured portfolio. Museum of Photographic Arts. San Diego, CA. The University Of Maine Museum of Art. Bangor, ME. The Museum of Fine Arts, Houston. Houston, TX. UT Dallas Jerry & Marilyn Comer Collection. Dallas, TX. The Candela Collection. Richmond, VA. The Capital Group. Los Angeles, CA. Unire Real Estate Group. Brea, CA. The Dalad Group. Independence, Ohio. 2017 International PhotoBook Awards, PhotoIndependent, Winner. Best In Show: Absence Of Being. 2014 New Orleans Photo Alliance Clarence John Laughlin Award, Honorable Mention. 2014 Palm Springs Photo Festival Winner, Portfolio Review Prize. 2011 PX3 Prix De La Photographie Paris Awards, Gold medal, Within Shadows Pro Fine Art Book category & Bronze overall. 2011 Black & White Spider Awards, Honorable Mention in the Architectural category. 2010 Black & White Spider Awards, Honorable Mention in the Professional Fine Art category. 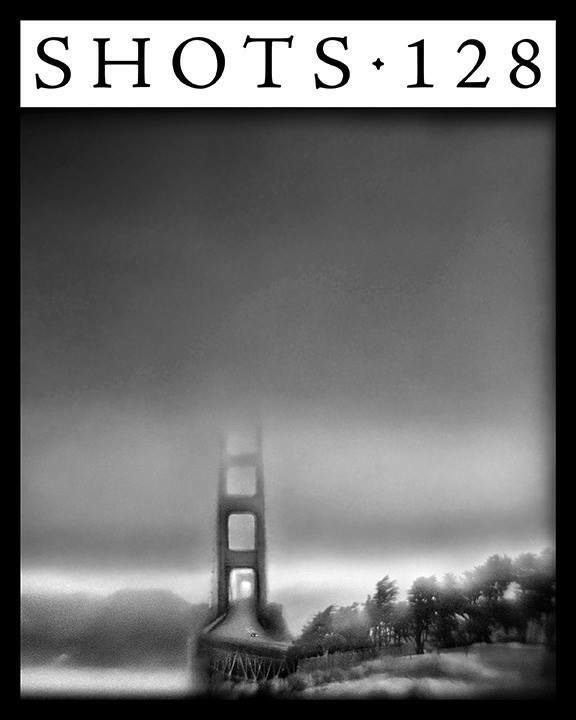 2008 Black & White Spider Awards, 2nd place, Silhouette & 3rd place, Fine Art (pro) categories. 4 nominations. All images on this site © Susan Burnstine.